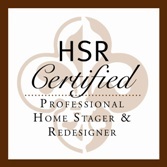 In Austin Tx, the premier Home Staging company Design Rewind is celebrating the launch of their new logo. Whether you’re looking to sell your home or wish to update your interiors, Design Rewind can help with the same client-driven service you’ve come to expect. Please visit our website at www.MyDesignRewind.com to see how we can help you!